It's been a while since I'd taken a trip anywhere outside Japan except to go back to Canada. 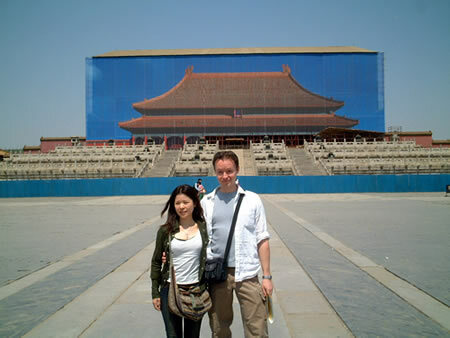 So with Golden Week upon us again, Kumi and I made our way to Beijing for about 4 days. 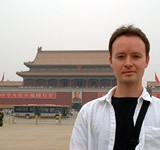 I'd been dreaming of taking a trip to China for years now, but it kept being put off. 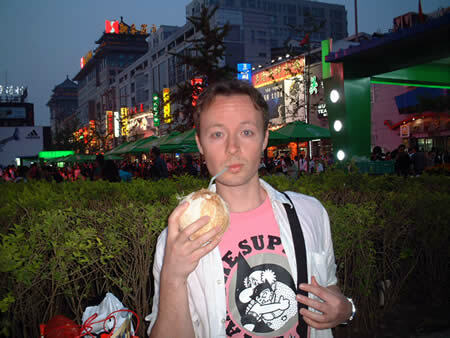 China, so mysterious and compelling to me for so long... well now I know the reality is a little different. Before I start, let me just say that the trip was a lot of fun, and an interesting adventure, but there are some things that need mentioning. First of all, Beijing is an ugly city. Not only is it dirty, there are piles of rubble, filth, trash, etc lying everywhere, and the air dusty and grey, but the buildings themselves are stunningly uninspiring. The buildings are a mixture of modern and old, but the new buildings are devoid of any soul. They are all walled off and people seem to be unallowed to go near them. The old buildings have no character at all, they're just slums. Coming from Japan where everyone is polite, even if they don't like you, the Chinese way of treating their fellow man was shocking. I hate to generalize, but the rudeness I encountered was beyond belief. Even American customs agents in the airport have better manners. The first day there, I was so uncomfortable I felt like going right back home. Walking down the street with Kumi I felt like I was going to get jumped any minute. Everyone, especially the men, stared at me with what seemed to be intense displeasure. Perhaps they were just curious and that's just their natural expression, but my instincts doubted it. I think it might have had to do with the fact that I was walking with an Asian girl, one of their own they thought, in the hands of what they probably saw as an American devil. Service in shops and restaurants wasn't much better. Waiters and waitresses took your order, and your money like they were doing you the biggest favour in the world. Ticket agents generally tossed your tickets at you from across the desk, barely even looking in your direction. Spitting seems to be the national pastime. Not only do people spit pretty much everywhere, but it has to be preceeded with a nasty, stomach-turning horking up of flem which everyone on the street can hear and appreciate. However, I've heard that spitting in China has long been associated with health, and that Chinese people spit, then look at it to check their physical condition, or something to that effect. Some customs though, are easier to admire than others. Anyway, besides the above and some other oddities, we had a great time. 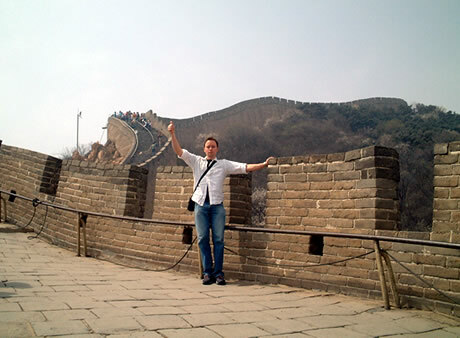 Here I am on the Great Wall, something I've wanted to do for years now. 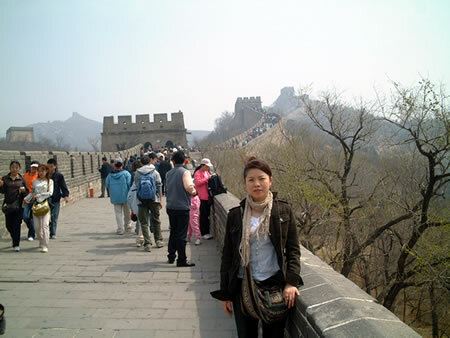 There are many sections of the wall, but the closest one to Beijing is at Badaling which is the section where most tourists end up. In response to all the tourists, the wall is riddled with hawkers selling junk and t-shirts. I lost count off all the times I was approached with "Hello? You want t-shirt? Cheaper for you!" The wall ran off in two directions from the starting point, but most people went this way shown here. Apparently the scenery is better but I didn't really notice. We went both directions and you can see the difference in crowds in the two pictures. The first two restaurants we went to were pretty dodgy but it seems that in Beijing at least, you can't go wrong with Peking Duck. We ate duck twice in three days and both times it was amazing. Here we are with enough duck for 4 people. 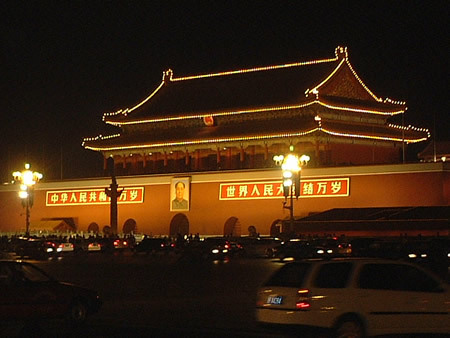 The Forbidden City (now called the People's Palace) at night with Chairman Mao front and centre. 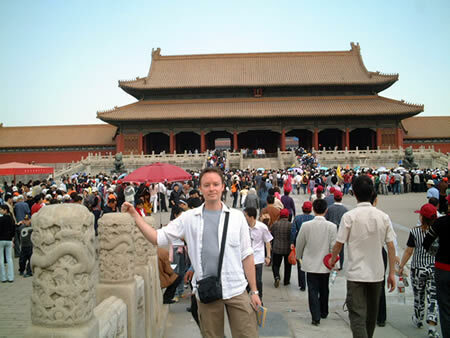 Inside the Forbidden City! We mistakenly went on a Chinese national holiday so the crowds were insane. Took us about 30 minutes just to make it through the entrance to get to the line-up to the ticket booth. The forbidden city, seemingly empty! Nobody except us was really interested in posing in front of the construction. They thoughtfully painted a picture of what the palace would look like if it was there, wasn't really the same though. Construction was rampant everywhere in Beijing, in preparation for the 2008 Olympics I guess. 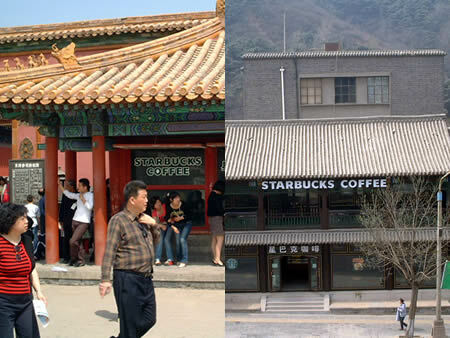 China sold out to Starbucks both on the Great Wall and in the Forbidden City, obviously nothing is sacred anymore. No McDonald's though, maybe that would be pushing it a bit. 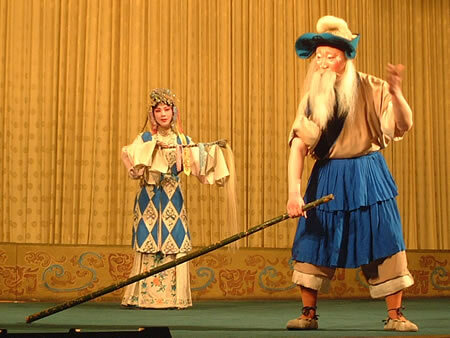 Chinese opera was very enjoyable, especially the acrobatics. The performance was an hour and a half and we had front row seats! Not only that, but people in the front got to sit at tables and were served tea and snacks before the performance. The Summer Palace north of the city, an absolutely massive park complete with lake. 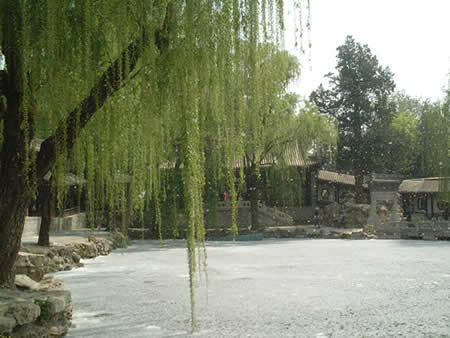 We happened to go to Beijing during some tree's (willow I think) molting period. 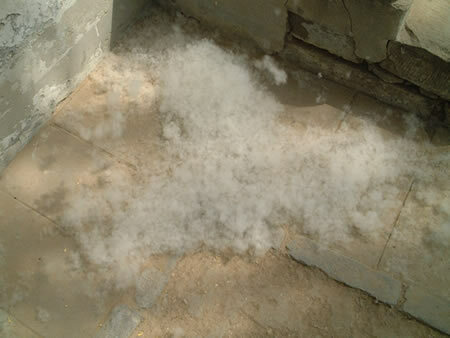 For a couple of days the air was filled with white fluff, which you can see if you look closely at the picture. The fluff piled up like snow. Walking around in it was fun for a while, but it quickly grew tiring as my skin and eyes started itching. On the last day we wandered around the shopping/market area, bought souvenirs, checked out market stalls selling roast scorpions and snakes on a stick, and drank coconuts, all things considered, it was a great trip!